Enter promo code which is located just down the listing for £12.95 promotional discount. The code is currently S4SRX6VK just check to confirm it hasn't changed. Apologies for the badly written post but I wanted to get it out quickly before they go. 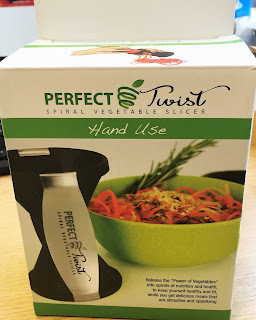 Go get a spiraliser for 5p! EDITED : looking today 28-8-15 it looks like this offer has finished :( It was good whilst it lasted. Will upload a picture when (and if!) I get it! And look whats just arrived!